Leonbergers are supposed to be noble, gentle and sweet - and many are. There is no guarantee though, only good breeding practices with an emphasis on an outstanding temperament significantly increases the chances that your cute puppy will grow up to become a gentle giant. Behavior is not only the responsibility of the breeder but also of the owner. Leos are large dogs and are frightening to many people simply by virtue of their size. Fear and aggression in a stranger can activate a dog's protective instincts. Huge dogs can also do a great deal of damage just by jumping up on someone in a burst of enthusiasm. 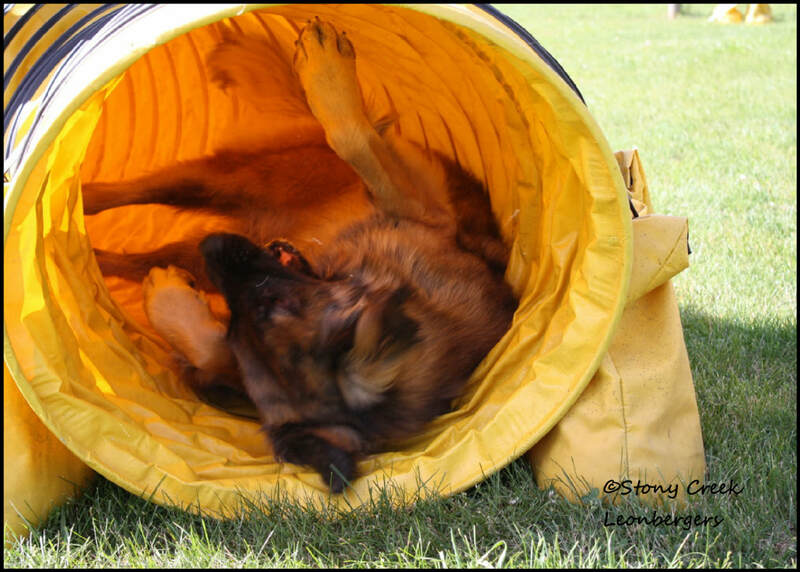 In some Leonbergers, there is a fair amount of play drive, as in most dogs. Running children will be seen as an invitation to chase - with a 120 pound dog that might be problematic. 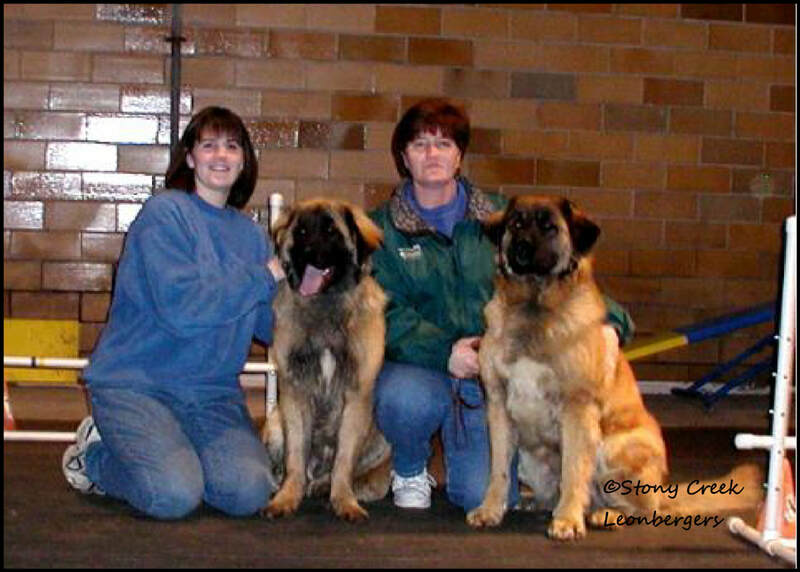 When you invite a Leonberger to share your life, you bring to that contract the responsibility to make sure that both you and your dog receive excellent obedience training. To become excellent family and watchdogs, Leonbergers must be well socialized as young puppies and extremely well-trained and under the control of their people at all times. It is difficult to train a dog that has been improperly socialized. The fear of parvo has led some owners to make the tragic mistake of keeping their puppies isolated until they have completed their vaccination series; they risk ending up with a fearful, timid dog that may become aggressive as an adult. Owners must strike a balance: Puppies, especially from birth through four months, must be exposed to a variety of people and experiences. There are many parvo-safe activities and places to take dogs, and new owners have to take the time to expose their new pups to as many of these as possible. This is especially true for one's second and third Leo; it is too easy to keep the new pup in the company of the older dogs, depriving him of the opportunity to develop self-confidence. Leos are known for their stability. As a general rule, they are consistently even-tempered and generally pleasing to be around even in noisy and chaotic situations that would be highly stressful for some other breeds. A typical and impressive sight at dog shows and gatherings is a large "pride" of Leonbergers peacefully and contentedly sitting and lying together in close quarters. However, on closer observation one will find that males in the midst of "hormone storms" are carefully separated and have been placed at opposite ends of the group. Would Leos make good family dogs? Leos are devoted family members, especially fond of children and well able to tolerate other household animals. They usually remain stable and calm amid noise and chaos, and will participate joyfully in almost any family venture, from boring shopping trips to stimulating hikes in the woods or swims at the beach. It is vital that these very sociable dogs be an integral part of family life, as they suffer more than most breeds if kept from family-"pack" activities. Leos are subject to the shorter life span and various health problems that plague most large/giant breeds. However, Leos tend to be healthier overall than the other large/giant breeds. Most of our personal Leo's have reached 9, 10, 11, 12 & even 13 years old! Leos are not natural obedience and agility zealots; however, they are so loyal and conforming to their family's culture and expectations that they tend to participate in obedience exercises in order to please. They usually excel in commands like Down, Stay! Achieving a perfectly executed Sit and Finish is another story. Leos are known in obedience classes for their casual approach to sitting. The sitting part is not a problem, but sitting up straight is not a priority for a dog that prefers to be laid back and relaxed. Retrieving is also not a favorite activity but can be taught with some patience. Chasing a ball, a toy, or a stick is great fun, but bringing it back is such a bother! There are Leos with obedience and agility titles, but these don't come as easily as they do for some other breeds. Leos do shed with their long, thick coat. At their semi-annual "molts", hair does fly everywhere and during the rest of the year moderately so. You will find dog hair floating around your house throughout the year, and every so often in your food as well. Their coats are waterproof and very wear resistant. Daily brushing is necessary to keep their coats shining and "vegetation" picked up during a walk out of their coat. Brushing also keeps clothes and furniture in acceptable condition. It's worth noting that grooming, beyond brushing, toe nail clipping, and a little trimming to even the fur on toe tips, is not allowed for the conformation ring in Europe. The natural look of a real working dog that does real work is the sought-after ideal. No! Leos were bred with an eye toward eliminating drooling. They will occasionally drool when stressed and definitely after drinking (usually with their heads and front paws as far as possible in the water!). Because Leos should be carefully bred only after the age of 2 years and with a minimum of a year between litters for each female, those from conscientious breeders are limited in number and may be difficult to acquire. The good Leonberger breeder is highly selective when choosing homes for the puppies. The best approach is to begin corresponding or conversing with breeders in your area. A good method is to get on a waiting list for a puppy bred by a breeder you trust and whose dogs you like. If the price quoted for a Leo is out of line, either much lower or higher than the typical price for your country, that is a definite warning sign to be careful and to visit several other breeders. Leos are expensive (in the $2,500 - $4,000 range, regardless of country). The current prices allow most breeders to recoup the costs of breeding healthy litters and also help keep frivolous buyers from purchasing Leos on a whim. Leos can be shown in a wide variety of events in fun matches, rare breed shows, AKC shows and, of course, all LCA- and LCUS sponsored events. Besides conformation and obedience, Leos participate and enjoy tracking, pulling, agility, and especially therapy work. Is the Leonberger For You? 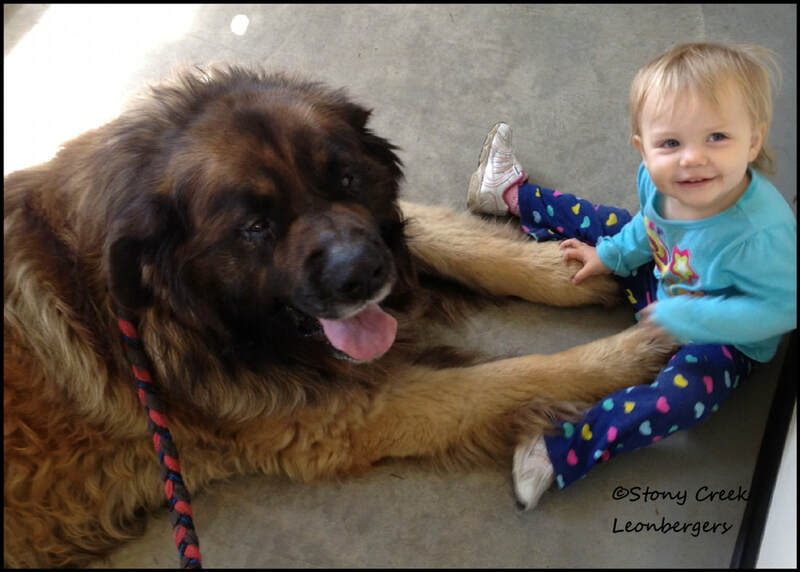 Most Leonbergers are wonderful, loving dogs...but due to their size and strength, they are NOT the dog for everyone. They require time, dedication, grooming and above all...training to ensure a well-behaved dog. Buying any dog should be a lifetime commitment, so make sure that you learn about the Leonberger before you buy. 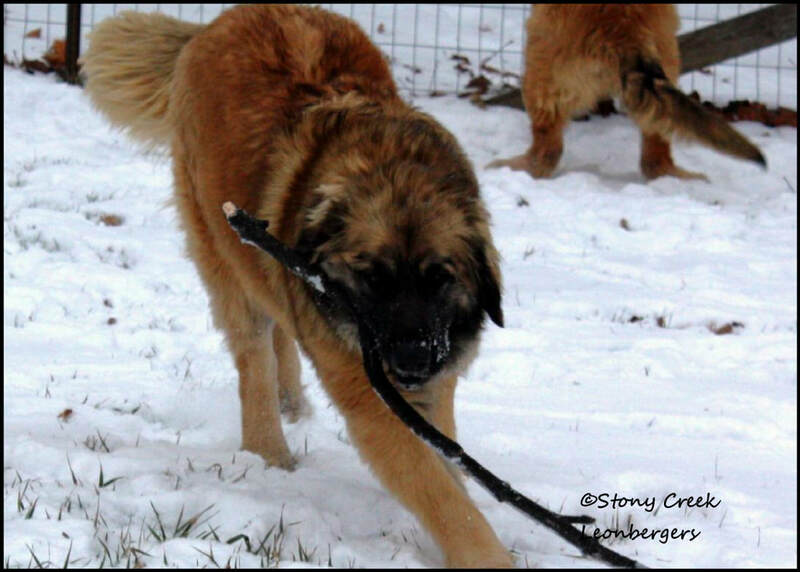 Don't buy a Leonberger if you don't want to share your home (not just your yard) with your dog. They are devoted to their people and want to be with you as much as possible. They are likely to behave badly to alleviate their boredom - digging, chewing, barking, etc. They will tolerate being left home by themselves for short periods, as long as they spend time with you when you are home. Don't buy a Leonberger if you have only seen them at shows - with glistening coats, dry and ﬂuffy. The Leonberger's true nature is to romp and swim outdoors. They thrive on being wet and don't mind mud at all. Their natural look is slightly damp with leaves stuck to their coats. Don't buy a Leonberger if you don't want to spend the time to train your dog. Although they are called "Gentle Giants", they do go through a very stubborn adolescent stage. It's imperative to teach them to respect and honor you and your rules at this point - if you don't, you will have a 100+ pound canine that does not know how to behave to make you happy (they may take food from the table because they can, sleep on the couch or your bed when full of mud, or take off chasing a cat down the street with you attached to the other end of the leash). They want to please you, but they need guidance from you to know how. This requires committing to at least a puppy kindergarten course, as well as basic obedience classes before the dog is one year old. It is essential to do 1-2 short (10 minute) homework sessions every day during their ﬁrst two years of life, as well as incorporating the lessons into your daily life as often as possible. This training cannot be delegated to someone else (e.g., boarding school) because the relationship of respect and obedience is personal between the dog and the person doing the training. As each lesson is learned, the rest of the household must also work with the dog, ensuring that they are obeyed as well. Don't buy a Leonberger if you are a fastidious housekeeper. They have long fur that tends to be everywhere. They shed mainly twice a year (in large quantities), but there is always some fur in the corners. They adore being wet and muddy - that means wiping four paws every time they come in from outside unless you don't mind the occasional muddy paw print. Their coats usually look and smell clean which means that the mud and muck that they love to play in has come off on your ﬂoors, and oftentimes walls and furniture, as well. Their tails are at the perfect height to sweep the coffee table knickknacks right off. Although they don't drool, they are not the most efficient about closing their mouths after drinking water, or eating. They may dribble food or water across your freshly mopped ﬂoors. Don't buy a Leonberger if you are unwilling to attend to their basic health and grooming needs. They need to be examined by a veterinarian every 3 weeks until they are 4 months old, and then at least once a year. They need a good brushing and nail trimming once a week. If you don't want to use this time to bond with your dog or are unable to do this yourself, be prepared to spend the extra money to have your local groomer or veterinarian do it. They need daily checks for ticks and foxtails when these health risks are in season. Unless you provide them with large raw bones to keep their teeth clean, or brush their teeth daily, they will need periodic dental care from a veterinarian. Don't buy a Leonberger if you cannot afford to buy, feed, and provide healthcare for one. The care that goes into keeping the Leonberger breed sound and healthy cannot be done cheaply; therefore, they are relatively expensive dogs. They are large dogs, which means that the monthly food bills are considerable. (This also means that the yard pick-up chore is sometimes considerable). Spaying and neutering, as well as any other type of surgery, are more expensive for large dogs because the anesthesia charge is proportional to body weight. Actually, almost everything seems to be a little more expensive (crates, dog beds, food bowls, etc. for large dogs than smaller ones). 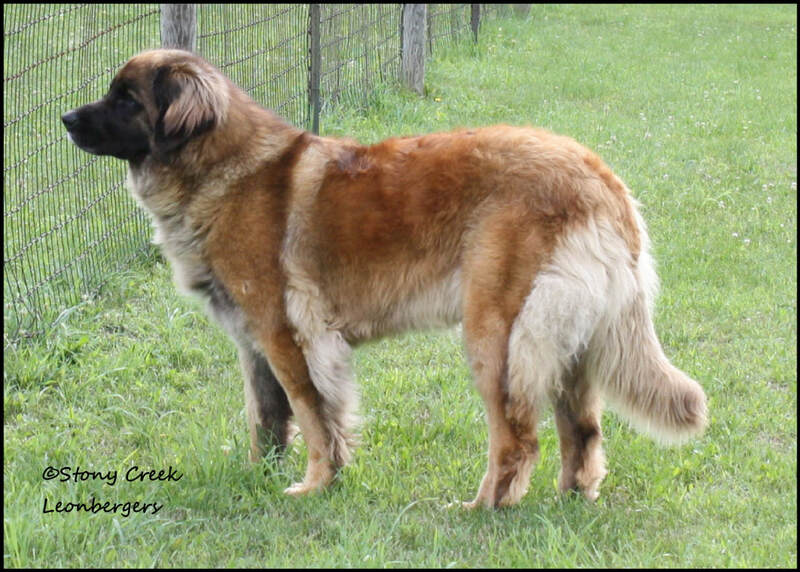 Don't buy a Leonberger if you are not willing to answer the "What kind of dog is that?" question at least 20 times/week (sometimes 20 times/walk). Don't buy a Leonberger if you don't believe in providing them with a home for their entire lifetime. 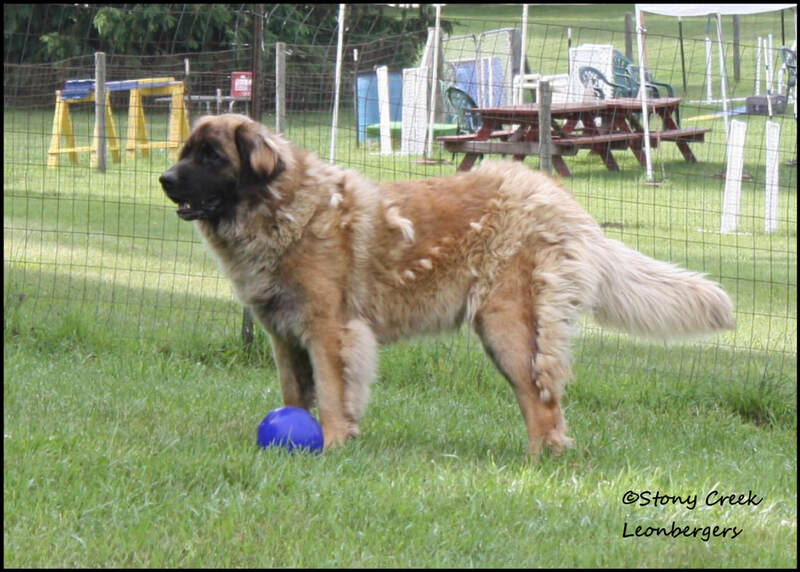 Be sure to contact your breeder with any questions or problems in raising your Leonberger to be the companion dog that he/she was meant to be. Make sure to make arrangements for your dog if you should pre-decease him/her or become terminally ill.